Did your garbage disposal stop working or get backed up? It sounds like you need some garbage disposal repair in Benbrook, TX. 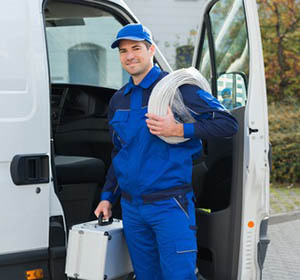 Give us a call at Lightfoot and we’ll send out a Benbrook plumber to take a look at the problem, and get things working again just as soon as we can. If you want to avoid future garbage disposal repair in Benbrook, TX, here are a few things you can do. Take good care of your garbage disposal and it will take good care of you! Don’t put fibrous foods down it. This includes celery, banana peels, corn husks, potato peels, and anything similar. All of these can get tangled in the blades of your disposal and eventually prevent them from doing their jobs. Don’t put bones or eggshells down it. These can get wedged in the blades, making it impossible for them to turn and chop. They can also be too hard for the blades and end up sitting in your disposal forever. Don’t turn the power on without running water down your disposal, too. The water helps things flow freely through it. Without that, the blades aren’t moistened properly and the disposal will clog much easier. Run your disposal for at least 15 seconds after the food is ground up. This makes sure that everything gets flushed down the drain and doesn’t linger in the disposal to clog it. Even if you care for your disposal well, it will need some help now and then. When you find yourself in need of garbage disposal repair in Benbrook, TX, call the experts at Lightfoot. In fact, call and make your appointment now!